Websites are generally intended to humans to visit and go through it's content but we can very well automate this process. What happens when we hit a URL in the browser ? A GET or a POST request is sent to the server, server authenticates the request (if any) and replies with a response - typically a HTML response. Our browser understands the response and renders it in human readable form. 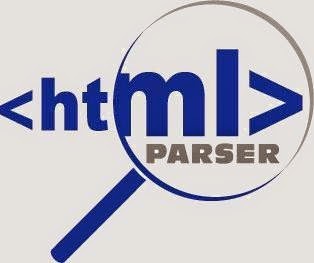 If you know this it is no problem for a programmer to automate a REST API using CURL or HTTPClient , parse the response and fetch the interested data. Let me go a few steps ahead. Today we have many libraries in many languages that automate the process of sending requests, parsing the response and getting the data you are really interested in. They are know as Web Scrappers and the technique is know as Web scrapping. So do go ahead play with new libraries, new APIs, learn new things... but by staying withing the rules. output tidy HTML jsoup is designed to deal with all varieties of HTML found in the wild; from pristine and validating, to invalid tag-soup; jsoup will create a sensible parse tree. Goal : I am going to scrap my own blog - http://opensourceforgeeks.blogspot.in and then print all the post titles that come up in the 1st page. I am going to use Ivy dependency manager and Eclipse as I do for most of my projects. Go ahead, run the program and check the output. In the select query that I have used I am simply saying parse the page and get me all the elements that are a(anchor tag) and are children of Element with class = "post-title". Display text of the anchor tag is the data we are interested in. How did I know what class or id to search ? Well we need to do some manual searching. In my case first I parsed the whole page, printed it and searched for the pattern I was interested in. You can do the same by going to a page and inspecting the page source code - via browser.